When you make the decision to move house, there are so many things that you need to consider. From getting boxes to pack everything into, to organising the removal van hire, there is much going on. It is also important to get the house clean before you leave. Domestic cleaning may be the last thing you want to focus, but it is a necessary evil of the moving house process. To make your life easier, you may want to hire a professional cleaner from a cleaning agency. Many cleaning companies specialise in end of lease and end of tenancy cleaning. They can help you get the place looking spotless before you move out. This will also help keep you calm and organised so that you have more time to focus on the other elements of moving house. 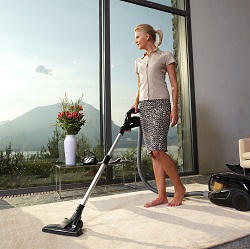 As capable as you are of cleaning the house properly, time is of the essence when you are organising a move. It is particularly a good idea to hire a professional cleaner if you are renting as they are experts in end of tenancy cleaning. Having the place professionally cleaned before you move out will ensure that you get your full security deposit bond back. Leaving a rental place means the standard of cleanliness needs to be high so that the realtor and owner are happy with you as a tenant. The state that you leave the rental property in can have a crucial impact on whether or not you will be able to use the owners as rental referees for future rental properties. If you don’t hire a professional cleaner, you should consider getting assistance from your family, friends and neighbours when it comes to cleaning. Having an extra pair of hands or more can make an enormous difference in reducing your stress levels and pressure in getting everything clean and ready to move out.